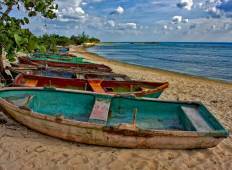 Find the best Cuban Adventures Cuba trips. We've got 9 tours going to Cuba, starting from just 6 days in length, and the longest tour is 20 days. The most popular month to go is December, which has the most number of tour departures. "Just did the 8 day trip with Cuban adventures. The tour was good. The guide Adrian..."
"The 15 day tour had a good itinerary which gave a good oversight of Cuba - each city..."
"The trip was better than we expected. Casa lodgings were clean. The casa owner and..."
"I just returned a week and a half ago from the 9 day People to People "This Cuban..."
"Our tour got off to a poor start as we missed our flight to Cuba due to a medical..."
"Fantastic trip - perfectly organised"
"Our trip to Cuba was enchanting, educational, eye-opening and enlightening. It also..."
"This was an amazing tour especially at Christmas with the Festivals and New Years..."
"One of the most engaging and fun holidays I have been on." "I don't facebook so I am using my son's :). 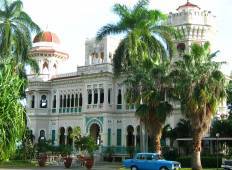 I did the Essential Cuba tour with Monika..."
"Have enjoyed the tour very much, excellent guide, very good accommodation with hosts..."